Tonight, I’m Thankful. Are You? Two Sundays from now, Lord willing, I’ll be starting my new ministry in Tampa, Florida at the Northwest Tampa Church of Christ. As a preacher, I don’t often have opportunities to visit other churches. I’ve been blessed over the past few weeks to do so. This weekend, we drove down to Huntsville and visited with friends and family. We celebrated Valentine’s day at my wife’s sister’s home, and got to celebrate with her family. I’m thankful for loving in-laws that care deeply about us. I’m thankful that we got to see Kristen’s “Pa” – her grandfather, who was a gospel preacher for many years. Old age has pushed him out of that career, but I have such an awe and respect for him and his years of service. He never made fortunes. He served humbly. I’m thankful this weekend that I was able to visit my oldest and dearest friend, Jason. He is doing such a marvelous work at the Mayfair Church of Christ in Huntsville, AL. God has blessed him with such a talent. I was blessed tonight to be able to speak to this fine church. I’m thankful that my family got to spend an entire day with his family. How sweet it was to watch our children play together. Childhood friends watching their children play together is a great moment to witness. I’m thankful for a God who loves me, forgives me, blesses me, and watches over me. I’m thankful the most awesome wife in the entire world. I’m blessed, and I’m thankful. Are you? We’ve been teaching our little girl to say “thank you” pretty much ever since she was born. Its a simple phrase that brings about such great feelings when someone does something for you. 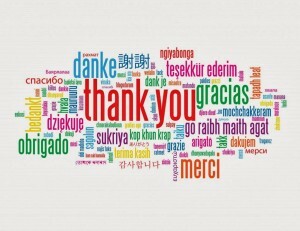 Its a simple formula really: someone does anything for you = you saying thank you. Its good for us to say thank you to God also. After all, who has done more for any of us than God? Sure, there may be days, weeks, months, or even years where things seem to have only gone poorly or the wrong way. However, God continues to stand by our side. David recognizes that our time here is short. What possible good could it do to thank God, when we are just a mere blip on the radar of the universe? The simple answer is that God loves that blip. Even if you feel like you are here for a moment and then gone, or if you feel like there’s no way you can matter to God in the grand scheme of things – understand that God loves each and every one of HIS children. And for that we owe Him thanks AND praise. 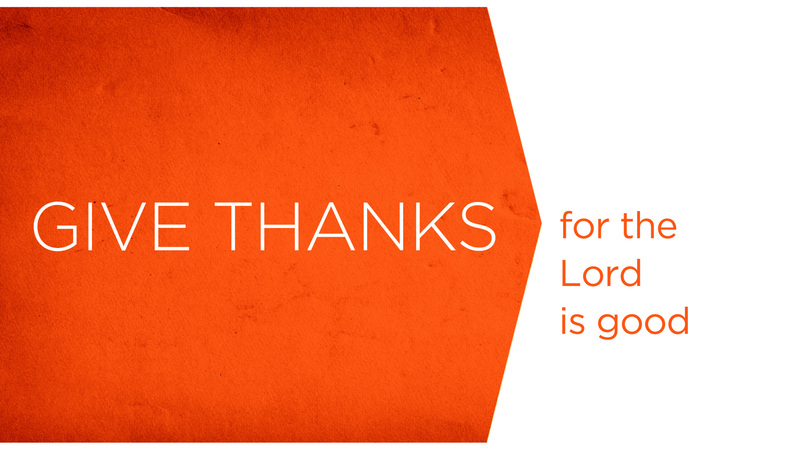 Today, take time to just make a simple list of things to thank God for in your life. As 2015 begins, I want to remind myself, my family, my friends, all of us – that God is awesome and worthy of our praise. You see, 2014 wasn’t the best year for us on many levels. I wrote about a major milestone in our lives which began an unexpected transition about 3 months ago. Through this time, we’ve learned we have some truly great friends, family, and even realized how large the Kingdom is by having complete strangers hold us close to them and their prayers. I’m not the first to go through a rough end of a year, and I won’t be the last. My problems are petty compared to most, but they are my reality. One thing I have to remember through all of this is that I not blame God, but rather, praise Him. Its time to come back to the heart of worship. I declare 2015 as the year of praise to our Lord. In I Chronicles 15, David brings the Ark of the Covenant to Jerusalem. At the end of the chapter we read of David shedding some garments and dancing in the streets because of his jubilation, and while this upsets the daughter of Saul, it set forth a motion of worship that would seemingly be unequal in its day to God and His Glory! You see, the Israelites worship had become, well, non-existent. David was bringing it back. Can you imagine what your life would be like without worship? The temple was not there, and David set up a sort of “temporary worship place” with the Ark. In I Chronicles 16, the Ark is placed, and David, the original “worship leader”, led the nation in worship to God. After this, David assigned specific tasks to several of the Levite nation, in order to establish an ongoing worship session, as they were to play their instruments before the Lord “regularly”. Worship is not ever finished. We all have talents to use for God. Make your friends and your family part of your worship (verse 43). 2015 has just begun. Its not even close to being over. You have talents that you can use for God. Find them, use them. And finally, make sure you include those you love in your worship. May 2015 be the year of praise to our Lord. In an effort not to go a week without posting, I thought I would update everyone on what’s going on for the Holidays. Being 900 miles away from family makes it harder, but not impossible, to get together for the holidays. On Wednesday, we will load up in the family CRV and drive about 8 hours to Gulf Shores, AL. We will be meeting Kristen’s parents, and her sister and brother in law for Thanksgiving there. We will stay there till Saturday, and then return home for services on Sunday at church, and a day of rest before the week starts again. While I’m not looking forward to a an 8 hour drive with an 18 month old child in the back, I am looking forward to getting away from the big city and having a day or so to enjoy time with my wife and baby girl at the beach. So at this time of Thanksgiving, I give thanks for another year with Josie and Kristen, a good job with a great church family, and so many other things I can’t list because I just don’t have the time. I will get back to the final few chapters of the book review soon. Until then, Happy Thanksgiving, be careful on Black Friday, and I look forward to Cyber Monday, where the real deals can be had. God bless us all.